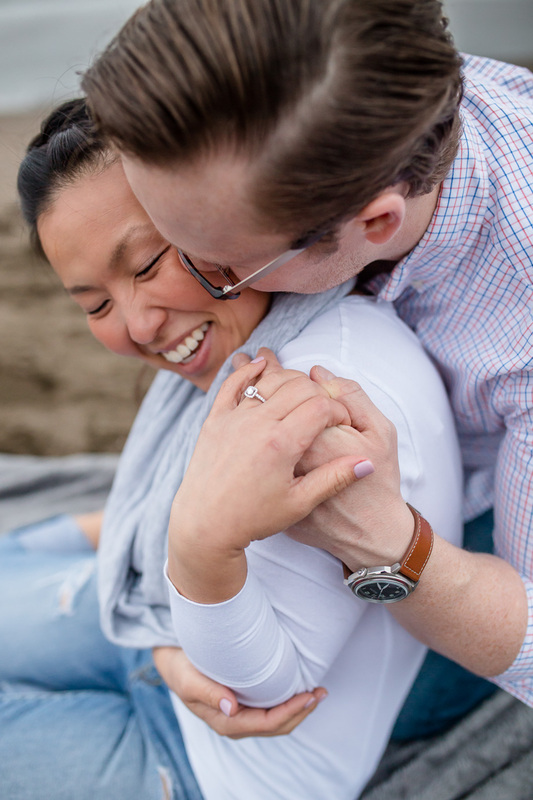 When Christiana and Mike told me that they were newly engaged, they really meant it! 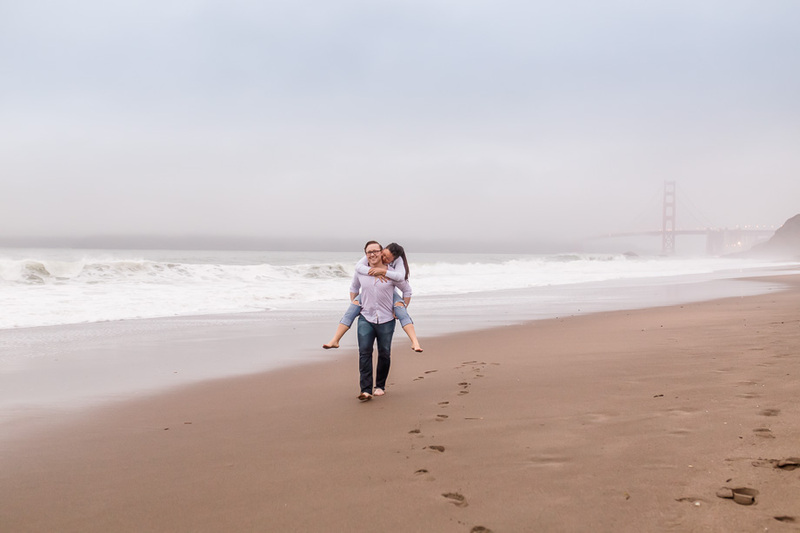 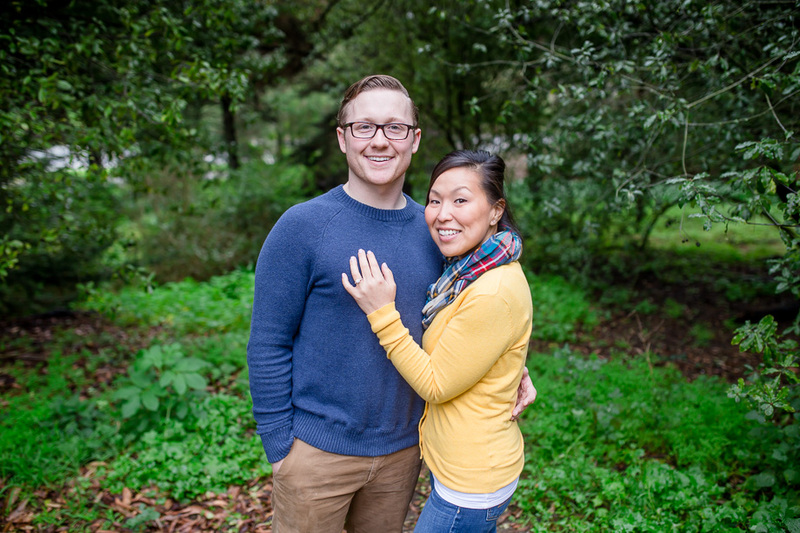 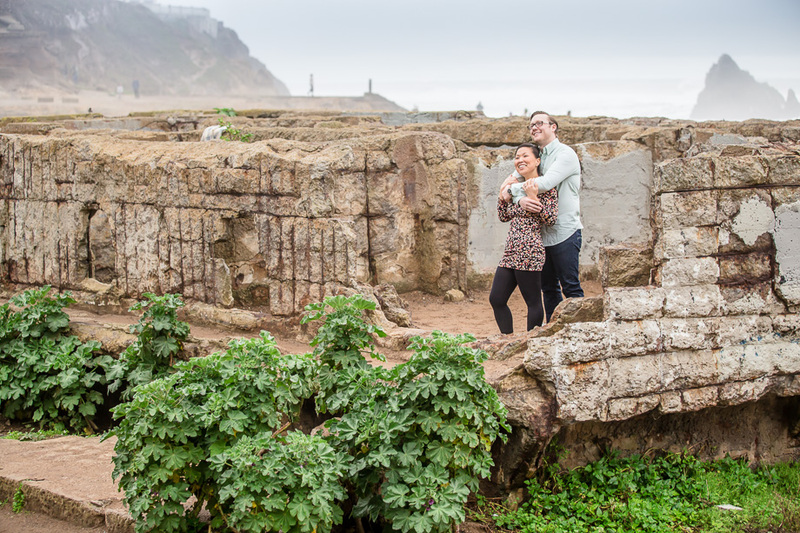 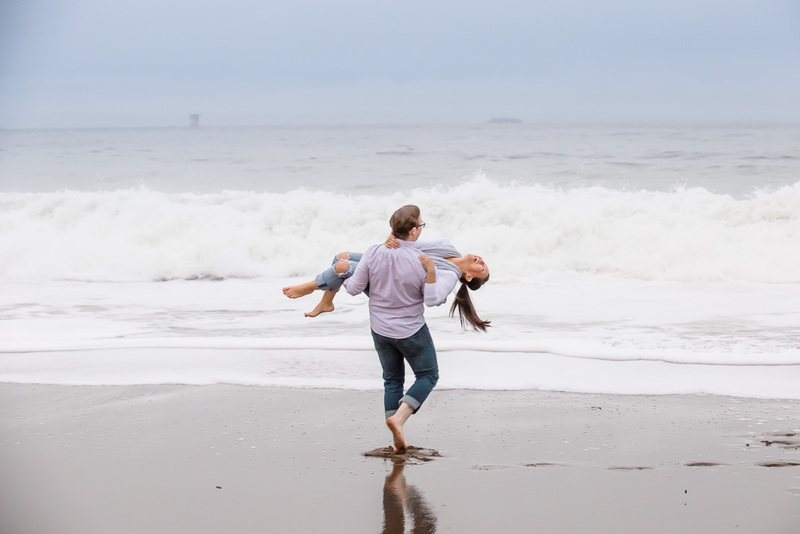 They got engaged on Dec 27th and we went out to a few beautiful locations in San Francisco for their engagement photos only three weeks later. 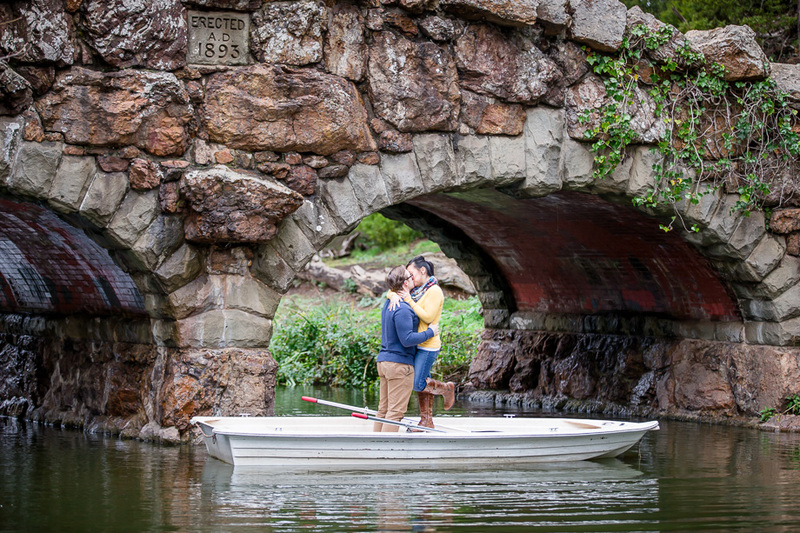 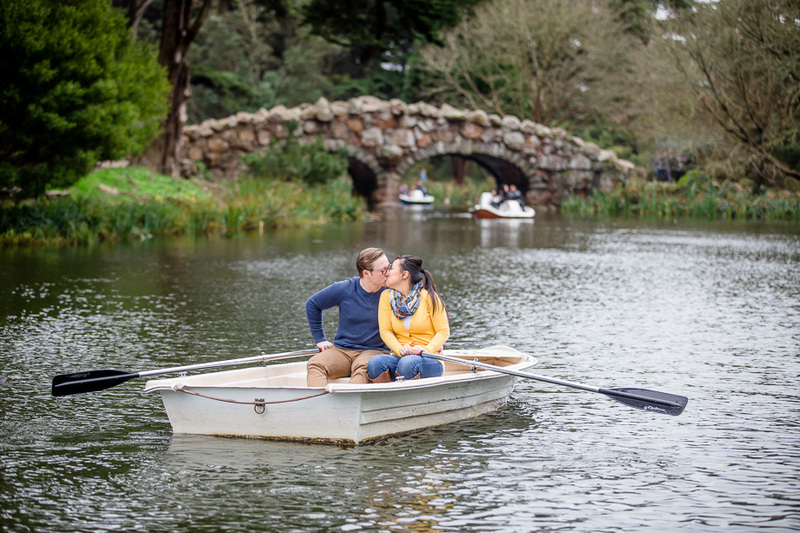 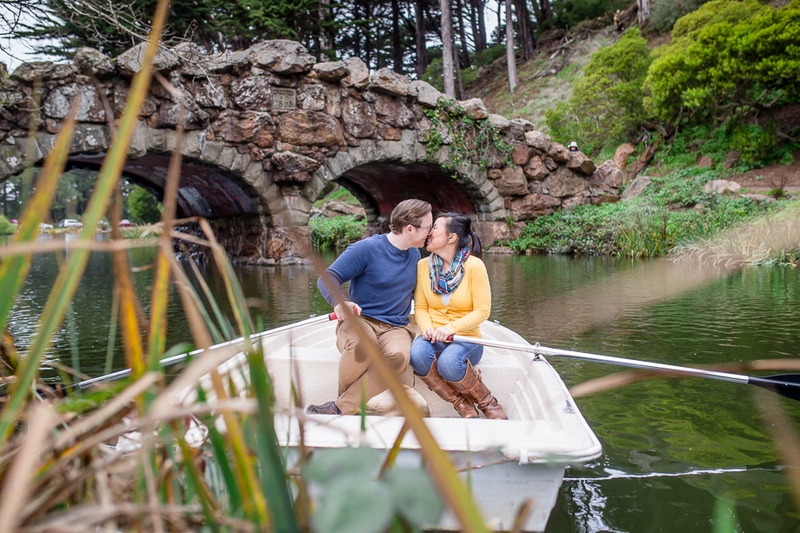 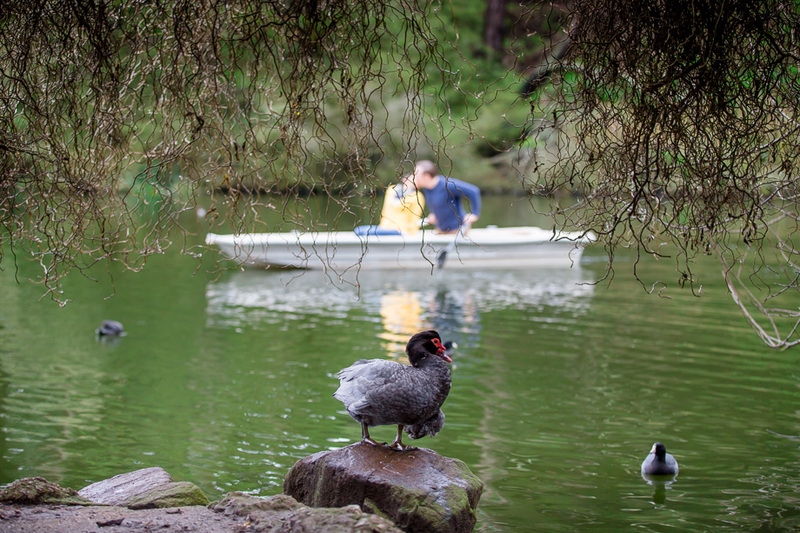 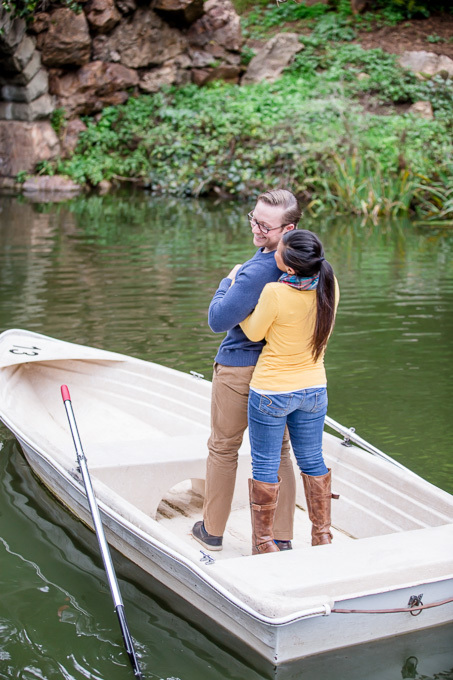 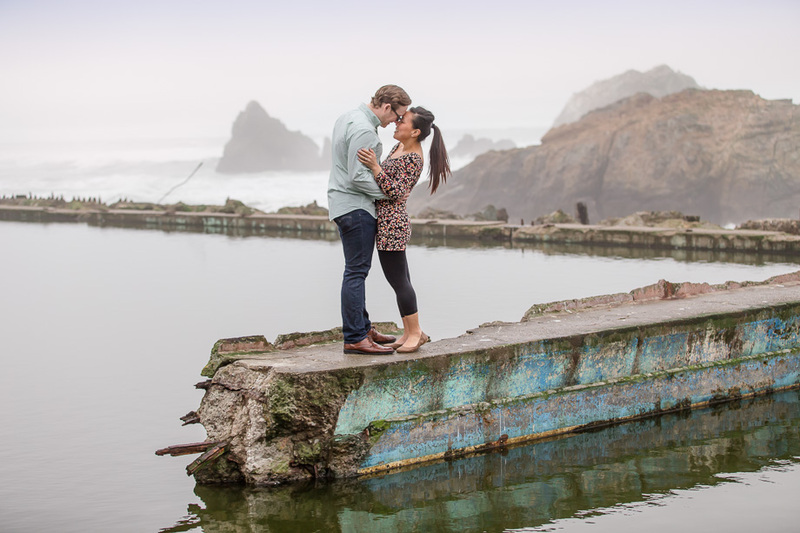 They wanted this photo session to be romantic and fun, so we started out with a rowboat at Stow Lake. 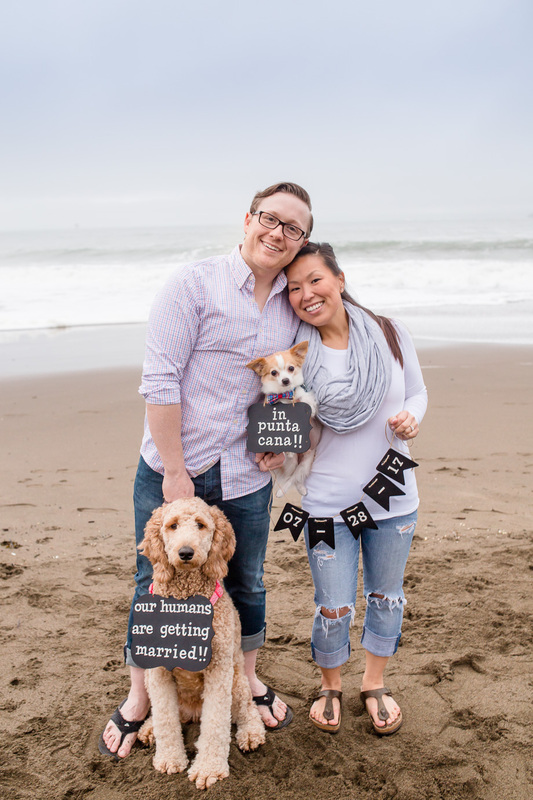 We definitely wouldn’t forget their two puppies (they are sooooooo cute), and I think the save-the-date photo with the puppies in this blog post is for sure one of my favs. 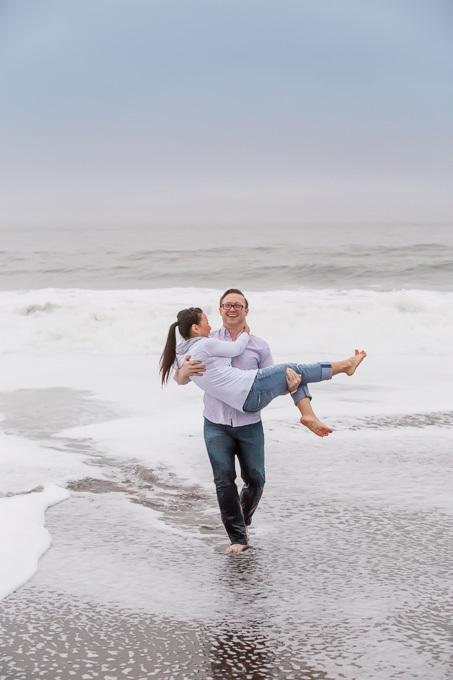 The tide was crazy that day at the beach but C&M, running towards the water and getting totally soaked, didn’t mind at all. 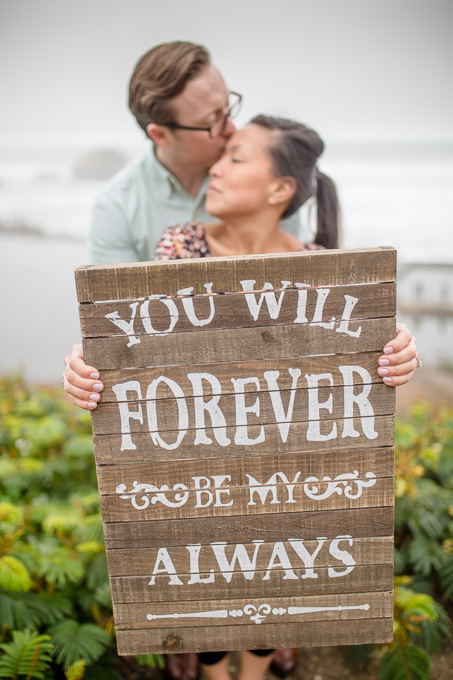 I got some really adorable photos! 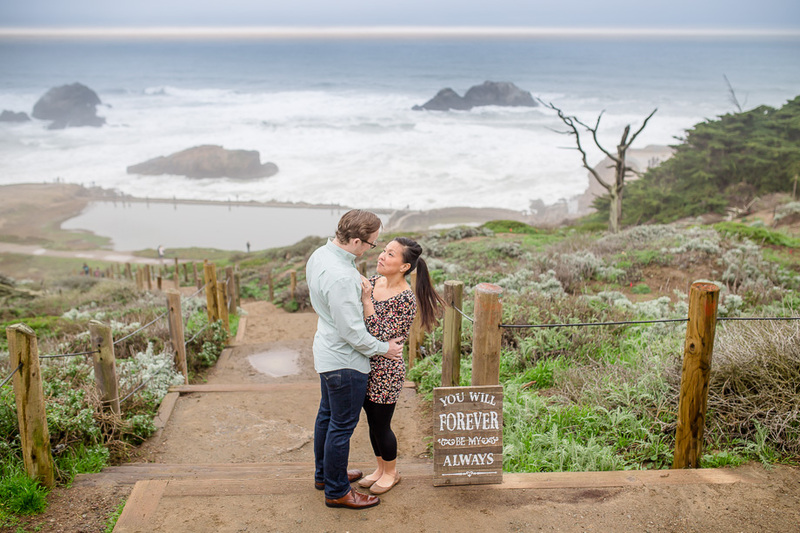 They will be getting married in the beautiful Punta Cana next summer and I’m sure it’ll be a gorgeous event!